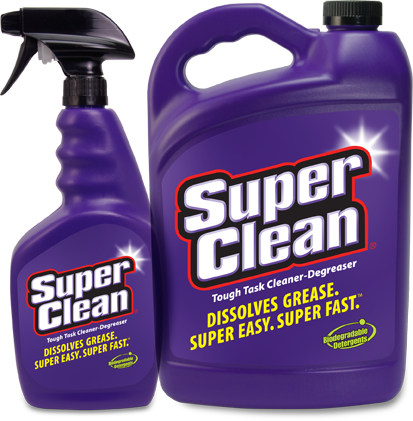 SuperClean® Cleaner-Degreaser is a concentrated, biodegradable, industrial-strength cleaner that dissolves grease, oil, wax, tar and dirt on contact. With its fast-acting formula containing 25% more active ingredients, there's nothing more powerful on the market. 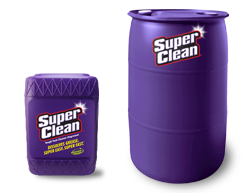 Industrial strength, yet biodegradable, phosphate free and non-flammable, it can tackle hundreds of household, automotive and shop tasks.